Amritsar is situated in the Indian state of Punjab which is very close to the Pakistan border.Amritsar is known for its Golden temple which is the most visited tourist attraction in India.Amritsar is also known as the "Gateway of Punjab. It has housed with the Raja Sansi International Airport which offers both national and International flights connecting different parts of the world. Amritsar is a great centre of Sikhism and literally means of "The Pool of Nectar. It was during the reign of Guru Arjun Dev Singh, Amritsar became a very populous city and a great place of pilgrimage of the Sikh faith. Amritsar is located at a longitude of 31.37 North and latitude of 74.55 East and is situated in northern Punjab state of northwestern India at about 25 km east of the border with Pakistan. Guru Ram Das received a piece of land from Emperor Akbar as a gift. Within the limits o this land, the Guru, the fourth in the lineage, a dug a reservoir in 1557, since well known as Amritsar.But the temple and the small village was then known as Ramdaspur, after its founder who was succeeded by his son Guru Arjun Dev.It was he who developed into a populous city and a great place of the Sikh faith. 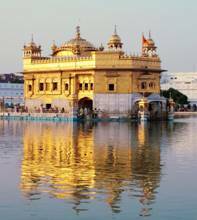 The city also takes its name after the sacred tank inside wherein lies the Golden Temple or Har Mandir Sahib. Baisakhi- This is a spring festival celebrated on 13th of April. This festival is accompanied by the celebration of the discovery of Khalsa panth founded by Guru Gobind Singh. Ram Tirath Fair - This festival shortly falls after diwali and is celebrated for five days by letting lighted lamps float in the sacred tank. It is pleasure to visit during this fair for the atmosphere of great gaiety and devotion, and the beautiful sight of the lamps floating in the water. This is a temple deigned in a similar way to that of the Golden Temple outside the Lohgarh Gate. 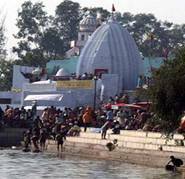 It is one of the major attractions of the tourists and also sages and scholars. The temple is dedicated to Goddess Durga. This 19th century fort, which is now though not open to the public, is of great importance in the history. 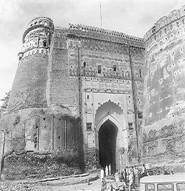 The fort was designed in such a way to defend itself from the military attack of Afganisthan. This fort was constructed with lime stones and bricks studded with iron gates. After a partial demolition of the fort by the military it remains as a ruin and is under the control of the paramilitary force. This place is about 40km away from the city of Amritsar and is considered to be a very elegant caravanserai,whose gateway is fully decorated with glazed tiles. 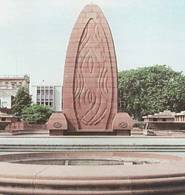 Nearby the Golden temple is the historic Jalianwala Bagh, a memorial garden. It was here that in 1919 General Dyer massacred more than 2000 unarmed and defenseless Indians who gathered for a meeting. This place has a flame like memorial erected in the garden n memory of the martyrs. Here you can also get to witness the bullet marks in the walls around. The Golden Temple is also known as Har Mandir Sahib. The Shrine can be reached by a 65 metre long marble causeway. The gold plated canopy of the temple, shining brightly in the sun can be seen from distance. In 1802 Maharaja Ranjit Singh had this canopy covered by gold plated copper plates. A visitor must remove his footwear and cover his head before entering the temple. This is a beautiful garden outside the old walled city. It contains a small palace built by Maharaja Ranjit Singh which is now turned into a small museum. Inside the museum there are fine portraits of the rulers of the Punjab and also weapons dating back to medieval period of history. This remains closed on Wednesdays. Situated at a distance of 40 kms, the walls of this mosque are decorated with beautiful floral motifs. This is a very old college, built in 1892.The college owns the pride of holding many distinguishers especially in the field of sports. The architecture of the college was a typical of the Sikh culture. Later the college also shared its space with the new Guru Nanak Dev University. This is a small town about 24kms away from Amritsar.It was founded in 1590 by Sri Guru Arjan Dev.It is here in this major fairs and festivals are held during amavas,diwali and birth anniversaries of the Gurus. This was a major centre for Sikhism which is situated at a distance of about 32 kms. South-east of Amritsar. Ram Tirath is where the heritage of Maharishi Balmik Ji´is situated. To reach this place you should go towards the west on the Choganwan road. This place is also known for the fair which takes place in the month of November and lasts for about four days. This is a national wildlife sanctuary along with a small lake with waters coming from the rivers Beas and Sutlej. Harike wetland is situated in between Amritsar and Ferozepur. The best time to visit this place is during winter where you can get to see very rare varieties of birds coming from all over the country. This is one among the magnificent Gurdwara in Amritsar which s situated at about 45 kilometers east on the Batala road.It is great to visit this Gurudwara on Raksha Bandhan for a major fair with huge gathering is held here. Wagha border is the one which partitions India from Pakistan. 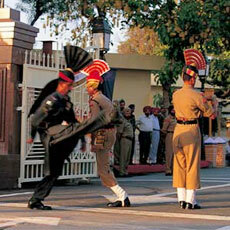 It is one important place where you should not miss witnessing the Beating of the Retreat change of guard within handshaking distance of the Indian and Pakistani forces makes for a most charming spectacle. This was one of the very famous museums, which houses and preserves the collection of paintings, arms and armours, manuscript and coins of 18th and 19th Century. This museum is named after Maharaja Ranjit Singh whose statue is situated in the (Ram Bagh). Shopping in Amritsar can never be specified by any single commodity for all kinds of items are available here. Not only local items but also brands are available in the markets of Amritsar.However the tourists are mainly attracted towards the woolens, carpets and blankets, juttis, embroidered stuff, bangles, shawls and cut glasses. Though each lane in and around Golden temple sells a different commodity, the main shopping area includes Hall Bazaar, Katra Jaimal Singh and Lawrence Road. 1.Bhrawan Da Dhaba - Town Hall.This place is specialized for its vegetarian food and thalis. 2.Kesar Ka Dhaba - near Bazaar Passian.Paranthas and dhal are very famous here. Reaching Amritsar is easy as it is well connected by air and surface routes. The airport at Amritsar named Raja Sani International Airport caters people with flights connecting within the country and also out of country. There are regular flights from Delhi, Birmingham and London.Amritsar is also the take off point to other places like Pathankot, Jammu and Lahore in Pakistan. Amritsar is directly connected to Delhi via rail route. It takes about 8 to 10 hours to reach Amritsar by train. Amritsar is about 440kms away from Delhi and it is connected by the Grand Trunk Karnal Road. Apart from the daily buses by the state transport corporation there are also private buses.